Flight Temple color study. 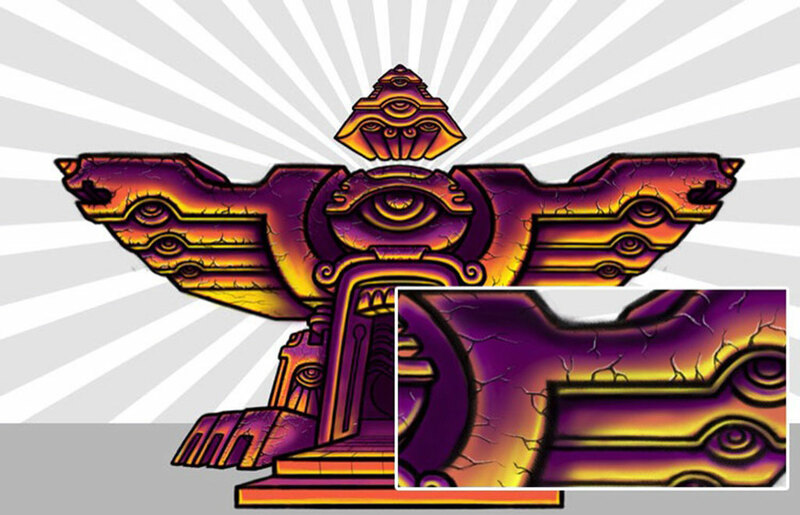 Initial attempt at a final for one of the psychedelic monster temples. On the fence about the black outlines. The aged and cracked stone effects are fun but probably need to create them without using black. Below is a zoom of one wing so you can see the detail. Created in Photoshop CS6 using a Wacom Intuos4. 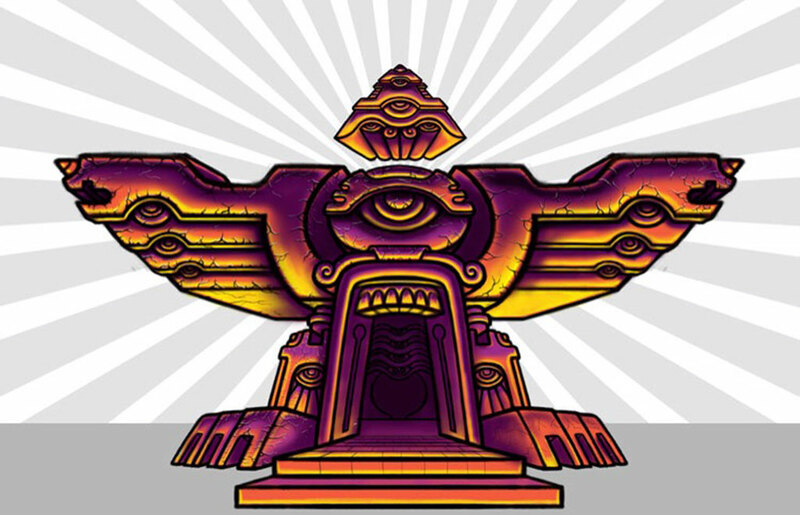 This entry was posted in Art and tagged art, drawing, eye, jaw, monster, mystical, occult, psychedelic, pyramid, sketch, teeth, temple, winged, wings. Bookmark the permalink.